Thank you to @Ezalor, and to House D'baen. I am glad to be welcomed back into the vampiric community without it being a total embarrassment. I love the House and I'm eager to see events within it unfold. Right back at @Lin! It's amazing having a great RPer like yourself take on the Sire bond. I've never been able to use all the Sanguis skills fully in this manner before and it's a total blast. You've got me really looking forward to progressing this and all our interactions! And on that note, thanks as well to @Haedyn, @Claire, @Aloli, @Marharet and @Telenvor for making D'baen a truly fun place to be. It was a long road to undo the damage in the House and make it a good environment again but you amazing folks made it easy. @Haedyn has a special place in my heart for keeping us both sane as we destroyed ourselves to put D'baen in first . Big thanks to Moirean and Maghak for a fun evening! Oh man, thanks to everyone I've interacted with lately: Toz, Ezalor, Aldric, Chakrasul, Eleanor, Maghak, Medeya, the wraithlord, the Carnifex and the wiiiiind in Chateau Rehl. I've been so excited to play Aetolia - there are engaging stories unfolding, and this kind of stuff is exactly why I missed the game. @Kerryn You are a great person and thanks for being my friend. @Neytiri You're an awesome person and it's been an honor being friends with you as long as we have. @Valenae Thanks for being a pretty intense and awesome Mom. You've pushed Riz to be the best he can be at whatever he does and he'll never forget it. This is long overdue, but I'd like to thank everyone I've role-played with lately. You all truly make it fun to play Aetolia. @Stathan, @Kamus, @Meyvitch, @Nyrus, @Emelle, @Tolemy, @Taygeta, @Daingean, @Shuka, @Meltas, @Angwe, @Rivas, @Exayne. Also a huge thank you to each of the hard working staff that are busting their backsides to see that we have new things. Klonk - You are what got me to stick around and actually check things out. I hope you are actually back this time around! Raeche - Didn't always agree, but as a novice, you offered RP and answered all of my very newbie questions - thank you. Milian and Periluna - Do I even have to say? You two have let me develop my character, and stuck with her being a young woman with random emotional splurts. Jackson - Newbie in Syssin - and the most interesting RP I have had in a bit. Kog - Even with all the internal drama, I always look forward to RP with you. You have an awesome grasp of the whole pack mentality thing, and are great at explaining what it is like to someone who does not know. All the random people from Black Flagon - Roux, Aren, Daskalos, Haydyn, Moirean, and anyone else I forget! Mephistoles, Lexen, Haven, Carson, Alastair, Runk, Aldric, Kog, Jackson, Niuri, Nephiliar, Haldrin, Alexina, Kaetriela, Ezalor, Haedyn, Abhorash, and Aarbrok. Y'all --along with the people who've made this list before, are the reason I play Aetolia still. Also pretty much everyone in Ve'kahi now. It's been pretty crazy levels of interesting and nuts, but lots of fun. Aaaaand all of the volunteer gods/coders/celani. And Razmael. For my short experiences so far in Aetolia, I'd like to give a special thank you to the people that have actually made me have hope for it to keep getting to a higher level of awesome. You made my stay here very lovely and gave great experiences. @Aoi for simply being an awesome friend and someone to RP with. @Kaetriela for the fun brainstorming and ideas for the Cabal guild we did together. @Axai for being nuts :P.
@Tina For simply being awesome and an inspiration to new gamers to the game. @Alexina for taking a young new player like me hunting when I first started and teaching me the ropes. @Gabriele for showing friendship and compassion without a care for general gossip. @Ezalor for just being a cool guy to chat with ^_^. @Claire for helping me out with some issues in the game. and finally @Conner for being one of the best and most sweetest guys i've met here. Great fun to play with you . Well that's about it and most likely my last post to the forums in awhile. Generally found is not for me. Was fun while it lasted mostly, enjoy the game . Thank you to everyone involved with the Iron Epicurean. It was super fun - the admin holding it were creative and hilarious, the other players were great, and all of the dishes were amazing (or amazingly horrid, cough cough Ezalor and Zea). I had SO MUCH FUN and I can't wait until the next one. Hopefully your winning didn't spawn a spate of conspiracy theories and accusations of favoritism. She's posting in a 'thank you' thread. You wanna be that guy? I didn't know there was politics and/or drama? I'm sorry if there was/is/will be/:( I just thought it was super fun. Yudi had me cracking up every time he emoted, I loved seeing how each player acted in the kitchen (Seir, especially, was great, and I think his dish reflected his character exceptionally well), and being in a web with the vampire non-cooks was amazingly funny as they kept trying to top each other for who could make the grossest, most ineptly prepared thing. I loved it, I always have fun at the Iron Epicurean! I think Lin was commenting about how after the last two, some of the runners-up were overheard to be saying some pretty unkind and unfair things. I had fun as ever! Having a good excuse to stretch the writing muscles is such a nice thing. When all else fails, punch em in the unicorns. Yeah, sorry about that, that was me being Bitters McBitterson (or that guy, as Zun put it). Really, grats on winning! I didn't think anyone'd take the title from Eleanor. When you got bitters, make a cocktail. I always say. Also, congrats to the winner! Just. All of the Luminaries. Really. You guys make me really, really happy. Also, big thanks to @Kerryn, @Serrice, @Emelle and @Aisling for being so delightful. @Ezalor, @Malok and @Toz for some fun, tense politics RP. Even though no resolution was reached, it was nice to talk out the issues and give (the Carnifex, at least) a reinforcement of our stance. Great fun and interaction from everyone. I want to thank @Claire, @Moirean, @Ezalor, @Erzsebet, @Malok, @Barda, @Xenia, @Ellenia, @Toz, @Satomi, @Tsvanni, @Aarbrok, @Xiuhcoatl, @Ilyon, and anyone else I'm forgetting, in no particular order. Some of you I've had very little interaction with, some a lot, some OOC, some IC, some about PK, some about bashing and general knowledge, some about coding. Without you guys, even having done little things, I would probably not be interested and I definitely wouldn't enjoy the game, because all of those things are part of my personal gameplay experience, and all of them are vital to my enjoyment of said gameplay as well. E: Added people I callously forgot. You know, I've had a lot of things go bad in my life today. I've lost the friendship of someone I knew for 16 years, but I don't feel so bad about it for reasons I won't go into. It's also partially because I have you guys on this game, as silly as that is. I'd like to thank @Kiershu, @Milvushina, @Sarita, @Callidora, @Moirean, @Alastair, @Ellenia, @Lyl, @Ezalor, @Fenrir, @Erzsebet, @Kerryn, @Neoma, and many others for talking to me, helping me out in various ways and getting me interested in Aetolia again. After spending 13 years or so on these games in various forms and function, and literally doing every single thing that can be done in these games, people like you guys are why I still enjoy them. I hope your interactions with me haven't been entirely unenjoyable, and I hope I made your days a little better like you all consistently make mine, even when the worst things happen. So, thanks. Big thank you to @Roux and @Arbre for the RP last night, and @Aren for not killing Sol on-sight. Anyways, haven't really had a bunch of RP since I came back yet, so it was fantastic. Big thanks to these guys for putting up with my sillyness and inept skills in RP at the moment. I will keep working on it. @Moirean, @Satomi, @Toz, @Barda, @Xenia, @Keirshu and all the other Carnifex. I've been avoiding this thread just 'cause there's too many people to thank. Ugh. Everyone in the Dion an Duir. Best psudo-IC combat clan evar. Man, sometimes we form like Voltron and scrubs don't even know what happened to 'em. SerriceMissari (gypsyninja) for decoding what Serrice told me, heh. TeaniEmelle for being Angwe's favorite gals. Without you two, dude would have no anchor. HavenEzalorAarbrokCalipso for being fun and engaging nemeses! Kiyotan. Emoting. You need to do it faster. Lydiatha for being Angwe's first protege and an awesome one at that. We needs to be gettin' together moar when I'm not tempted to run off and do combat to things. NeithanMeyvitch for being, like, Angwe's only real male friends. 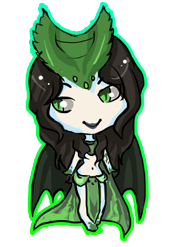 Ciarelle for being CiarelleIllidan for being badrump. @rivas and @emelle for the interesting new dynamic the Silverain rp has developed. @phoenecia for two very brief but interesting RP bits. A pleasure as always. Mariena - Self explanatory, I think. You don't log in too much, but Neithan loves his wife very much. AitheneSerriceArbreAisling to a slightly lesser extent, since he doesn't visit with you two near as often. RouxAren - You two make being in the Luminaries way more fun than I ever expected. Also, I love the absurd antics that you two get up to with Neithan. Please don't ever stop. KerrynLexenHaern and his whole Order - Holy Wars, Drunken Shenanigans and other hijinks! Daingean - As expected as my for Mariena, at this point. Mireia - You're funny. You match with the boys well and you're hilarious OOC. Don't go away! Phoenecia - Bet you never thought you'd be on one of these from me! You're an important part of the Templar, even if you don't see things my way. Jami, BelanthusSaybre, @...uh, the Templar! - I love that we're getting better. Keep up the good work and feel free to come harass Sir Grumpy McPaladin at will! I love seeing you guys and interacting.